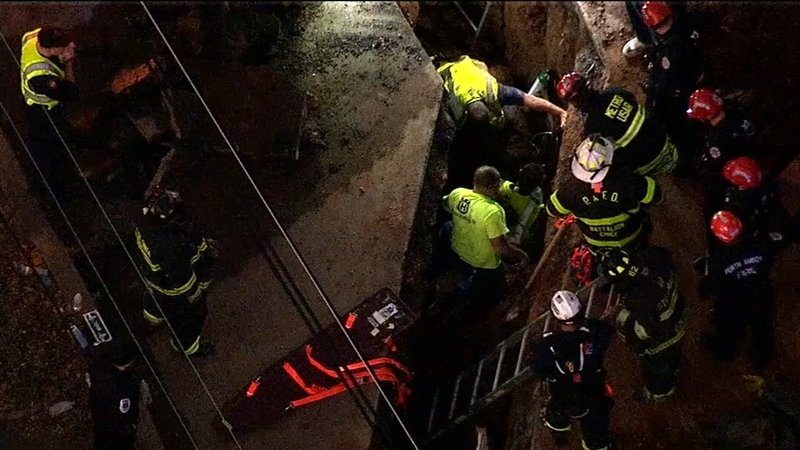 WOODBRIDGE, New Jersey (WABC) -- A construction worker is recovering after getting stuck in a trench at a work site in New Jersey. Newscopter 7 was over the scene in Woodbridge Wednesday afternoon when the worker was pulled out. He was trapped up to his waist in the trench, but he appeared to be conscious throughout the rescue. Firefighters first used shovels and then tied ropes around the worker, pulling him to the surface with a forklift.